Many consider search engine optimization (SEO) and digital marketing to be synonymous. However, they have two separate definitions and are entirely separate. There are many ways in which SEO and digital marketing function similarly and today they work in tandem. An SEO company is hired to optimize a website so that its position in search engine results is improved. They will use a wide variety of strategies and SEO best practices to achieve higher rankings in the SERPs. SEO is actually a subset of digital marketing and there are many who would define an SEO specialist as one who integrates digital marketing and SEO best practices to achieve their goals. It has already been stated that there are many similarities in these two positions and in many cases they share some of the same skills. An SEO specialist has the expertise, knowledge and experience to optimize a site to increase traffic and revenue. A digital marketing manager may actually work alongside an SEO specialist in a marketing campaign to increase a company’s overall exposure using digitally based media. SEO is a tool that is in the digital marketer’s tool box. The strategies shared by SEO experts and digital marketing professionals include several marketing best practices such as email marketing, content marketing, social media marketing and more recently mobile marketing. However, the digital marketing specialist will have a few other options at their disposal such as billboards, SMS, TV or radio resources. Since the two obviously overlap quite drastically, it can be difficult to separate the two. However the SEO specialist is concerned about increasing visits to a website and the digital marketing specialist is concerned with increasing a company’s overall online presence and visibility to consumers. Trends are leaning more toward incorporating digital marketing techniques with SEO strategies. The trends indicate that the two are integrating more and more. In the past it was thought that SEO was enough but as social media continued to expand, and mobile phone and tablet use exploded on the scene it takes more than just SEO strategies to reach the consumer market. In order to create an effective online presence and reach your potential customers before any of your other competitors you will have to incorporate digital marketing with SEO strategies. SEO is not dead, and it’s not going anywhere anytime soon. The difference in the climate of today’s market is that you are going to have to go past SEO and include many digital marketing techniques. SEO is all about creating high quality websites that are geared to the user. There is no doubt that the SEO world is in a state of constant change. Search engines are constantly updating their methods of ranking sites and the SEO specialist is obligated to keep up with the trends. One of the more recent changes in SEO strategies is the incorporation of digital marketing. The new term that is emerging from this transition is Search Marketing Integration (SMI). As search engines continue to broaden their gaze and perfect the specifics and techniques they use to look at a site and measure brand sentiment, content quality and overall relevance, it is noticeable that search is increasingly overlapping with other marketing strategies. This is likely to completely revolutionize an organization’s method for approaching sales, PR, marketing, branding and everything else for that matter. 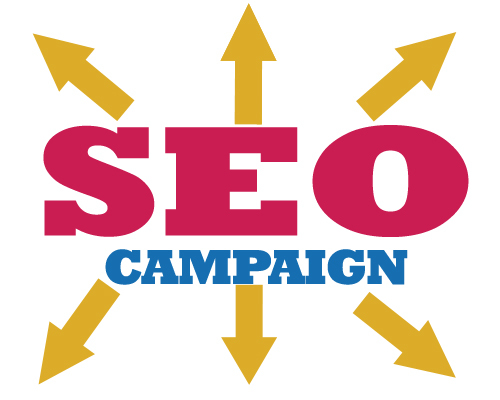 Success will require the integration of SEO best practices and marketing strategies. There have been many factors that changed over the last few years for both SEO and digital marketing which have blurred the line that separated the two. Even though they are still two unique entities with singular goals, they are becoming more integrated into a single, engaging strategy. The biggest question now is how the integration of these two powerful and multi-faceted tools can be used together for the benefit of a business or company. Since no two companies are identical, it can be a difficult proposition. Success comes from developing a single campaign constructed from strategies from both digital marketing and SEO best practices.